A NEW MAP OF THE BRITTISH ISLES Shewing their Present Gen. Divisions, Cities and such other Towns or Places as answer to the Towns of Note in the time of the Romans, around 1700 . Dedicated to His Highness William Duke of Glocester. 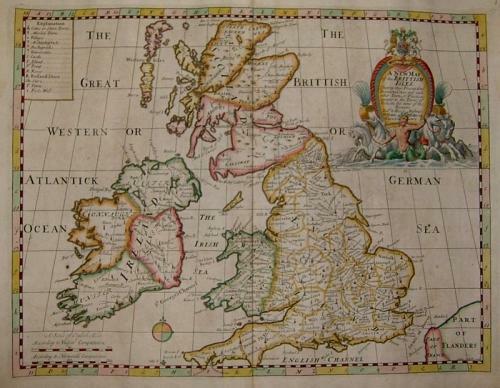 A simple but elegant map of Britain in very good condition with only slight age toning.